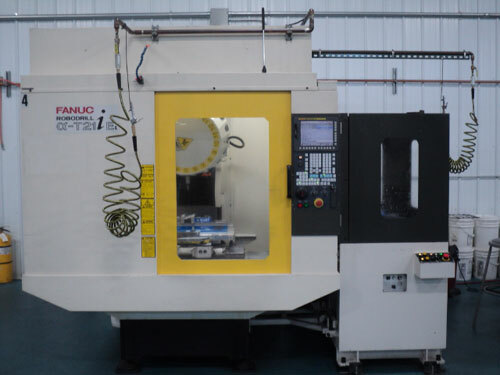 We currently have 1 VF-2SS machining center. Listed below on the chart you will see the machine maximum envelope size, maximum spindle rpm, and factory accuracy. Along with those capabilities this machine also has high speed and 4th axis machining capabilities. 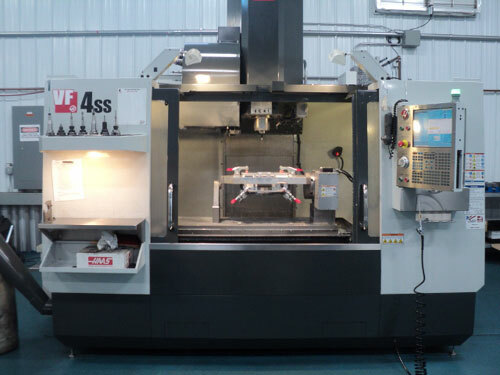 We currently have 4 VF-4SS machining centers. Listed below on the chart you will see the machine maximum envelope size, maximum spindle rpm, and factory accuracy. Along with those capabilities this machine also has high speed and 4th axis machining capabilities. We currently have 1 Robodrill. Listed below on the chart you will see the machine maximum envelope size, maximum spindle rpm, and factory accuracy. Along with those capabilities this machine also has a pallet changer for high production work. 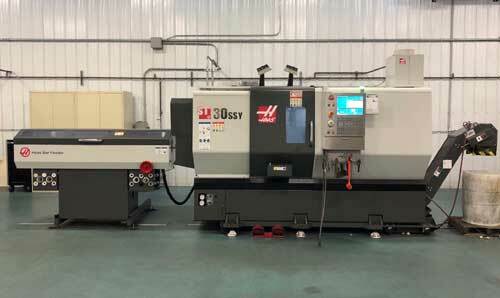 We currently have 1 ST-30SSY turning machining center. Listed below on the chart you will see the machine maximum envelope size, maximum spindle rpm, and factory accuracy. 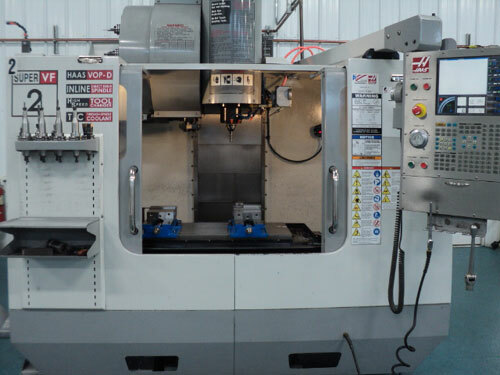 Along with those capabilities this machine also has high speed, live tooling, Y axis, & bar feed capabilities. 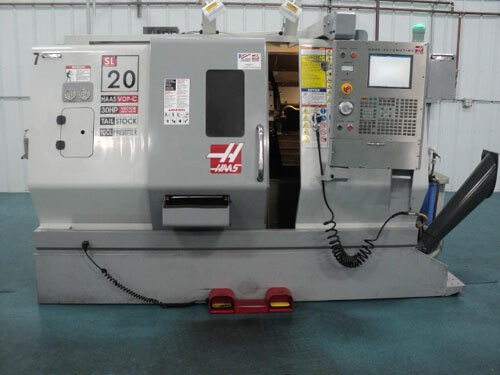 We currently have 1 SL-20 turning machining center. Listed below on the chart you will see the machine maximum envelope size, maximum spindle rpm, and factory accuracy. 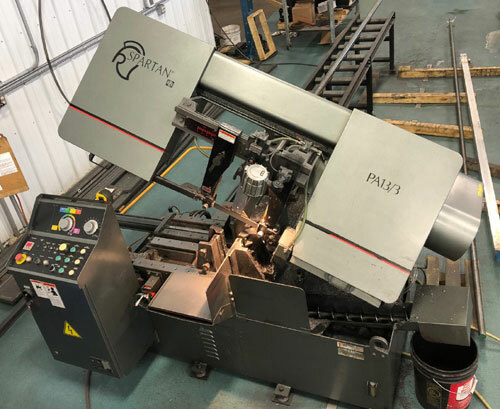 This CNC Horizontal Bandsaw is a heavy duty, high speed, hydraulic, horizontal-cutting bandsaw that can accomadate raw materials as large as 13" x 14" or 13" round capacity, and operates using a 1-1/4" thick blade for the most accurate and precise cuts. The broad range of speed allows for optimum cutting of a vast spectrum of materials.